GoodService Forklifts who are located in Miranda, have years of construction industry experience and offer you the very best knowledge and experience. All operators are qualified tradesmen who started at the bottom, so know the importance of timing, professionalism and care on any job site. We offer Fourwheel Drive Forklifts & Telehandlers, Sydney wide Wet and Dry Hire for any worksite, construction or event project. 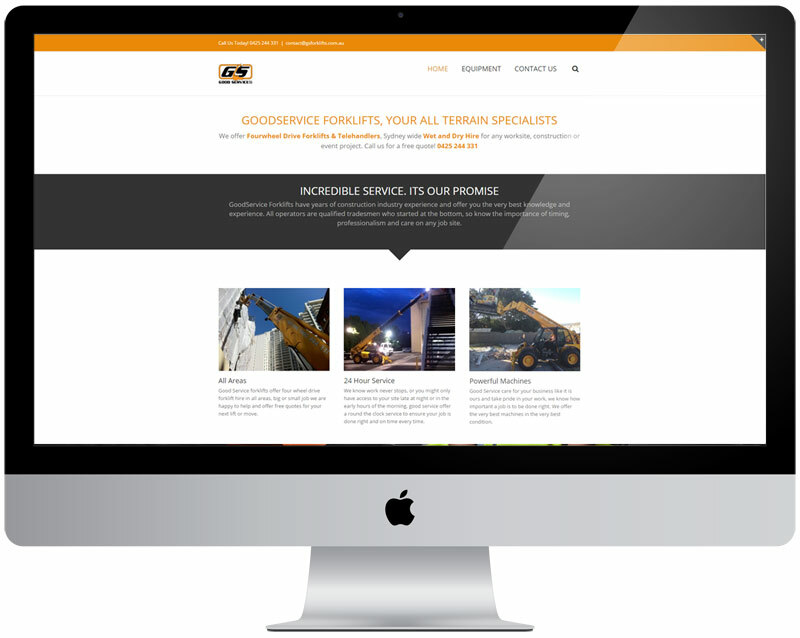 To showcase the equipment GoodService Forklifts has, Paisley created Responsive WordPress template keeping with the companies theme and style guide to display its equipment.